The city created in the 1930s was built as a military point. Until 1992 it was on the map as forest areas. Over 18 thousand hectares of military training ground, in the middle of 50,000 citizen city to which only the elected were admitted and aware of existence. After the war, the German armies were forced out of the city and since then it has been a Soviet base. Since 1992, the city has been incorporated into Poland. Visiting the town, the Soviet Cemetery, the Officer's Palace, the Residential District of the Senior Officers, the Villa of General Dubynin. During the trip you will discover beautiful landscapes by visiting, among others, areas of the so-called Połczyńska`s Switzerland. Visiting: PGR museum in Bolegorzyno, Połczyn`s Switzerland, Kluczewo, transfer to Prosino Lake, visit to Old Drawsko - DRAHIMSKI`s castle ruins, transfer to Czaplinek, visit to the church of "Holy Trinity", visiting the "Raising the Holy Cross" church , further sightseeing in Czaplinek, transfer to Drawsko Lake, visiting the John Paul II Monument. The largest city of Germany. One of the largest in the European Union. 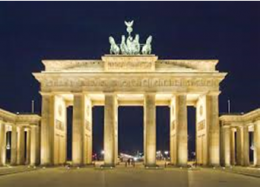 Guided tours: Alexander Square, Unter den Linden Avenue, Berlin's most beautiful square, the legendary border crossing - Charlie Checkpoint, Brandenburg Gate, Berlin Wall stroll, ZOO Train Station, Kurfurstendamm boulevard. Additionally payable: entry to the Pergamon Museum. Wonderful colors and unusual appearance of plants. In the gardens you can find ponds, dikes, bridges, benches, stones, boulders meet, all arranged and arranged in a clever way. There are decorations in various styles suited to the types of vegetation. Simply fabulous and atmospheric place. 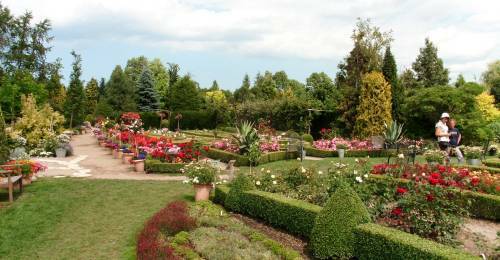 gardens are far from the city noise, far from seaside resorts that are too crowded. It's a great place to calm down and relax. A very charming place, it's worth seeing them with your own eyes. A city in north-western Poland, located on the Baltic Sea. The city has a great atmosphere. This is a spa town - famous for a large number of hotels, guesthouses and spa houses. 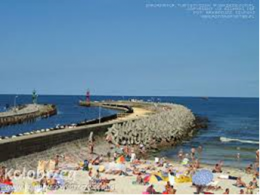 In the program of the trip: a walk along the beach and Aleja Nadmorska, a guided tour of the Old Town of Kołobrzeg with a neo-Gothic town hall. 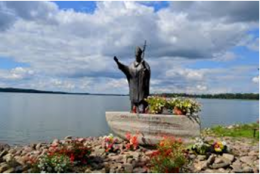 Opportunity to visit the Polish Arms Museum, Lighthouse, cruise on the Baltic Sea - for an additional fee.